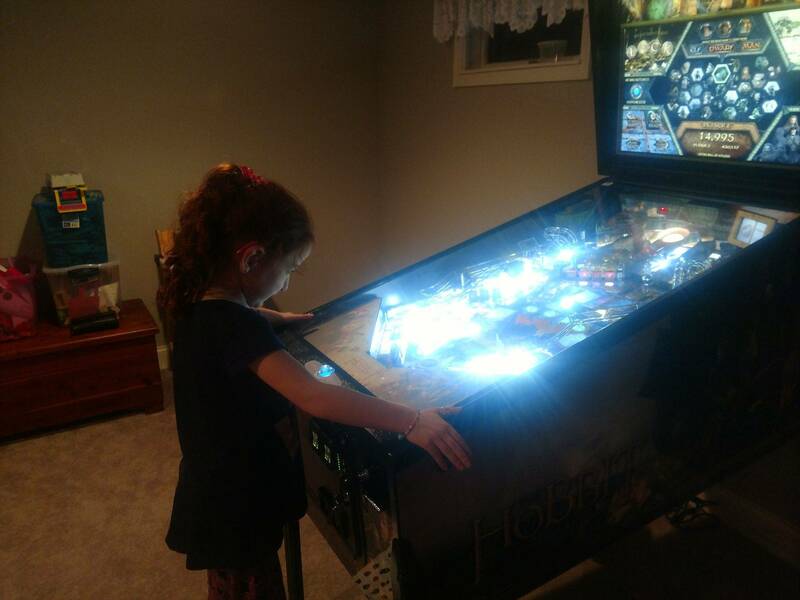 » Forum » All Pinball » My daughter enjoying our new Hobbit. » My daughter enjoying our new Hobbit. My daughter enjoying our new Hobbit. Sorry proud dad, had to share! Awesome !! always good to see new life being injected into the hobby !! Awesome! that’s a great game to get a career started on! Awesome man! Picking one up on Sunday. Exited to see my daughter check it out too! Very cool congrats! When it came to pulling the trigger on my first NIB that I was saving a while for, I cancelled my GB Premium and got the Hobbit Black Arrow after my daughter couldn’t stop talking about how cool it was after playing a few games on it. Got to love those kiddos!!! I'm all smiles over here, congrats dad! Even on a long day, it makes a person smile. A child having fun makes it all worthwhile. Hobbit cost $$$$.... child having fun priceless. Congrats and enjoy. Memories to last a lifetime for both of you. Yes I am. This game is pretty cool. I can't believe how smooth it plays. My daughters already complaining we need more so she doesn't have to wait her turn! I think she's hooked. We've been going to the pinball gallery every couple weekends. They have roughly 40-50 pins on Freeplay and you pay an admission to get in. It's an hour away, and she started crying tonight because " we can't go to the far away pinball place tomorrow!" Hate seeing her cry but love seeing her hooked on it! Love it... I am more or less in the market for a JP because my 8 and 10 yr old kids would absolutely die to have T-Rex eat a pinball. It's almost weird how much money I am willing to part with just to get a smile- by that measure- looks like you spent the perfect amount on the Hobbit! Congrats! Noe be careful.... this can rapidly spin out of control... my Little Pony Pinball anyone? My daughters already complaining we need more so she doesn't have to wait her turn! Well buy more pins then you horrible father !!!!!! Awesome ! Great choice choosing a pin your whole family is going to enjoy .